You know you need this! So join the fun and make something beautiful. Don't forget that to be eligible for prizes you need to follow the guidelines for the 'Get Featured' part of this challenge. Your project photo/photos needs to be emailed to me by the 5th of each month. Should you miss a month, it okay to double/triple up the next month to reach the goal of one new project each month for a total of 12 projects for the year. I'll post our monthly Challenge post between the 10-15th of each month. KEEP busting those scrap piles! Use whatever scraps you have on hand to create something new. That could include fabric, beads, paints, glitter, threads and fibers, craft supplies, paper, etc., etc. It can be a practical or artistic project - or both. It can be a gift item or something you've created for yourself. The project doesn't need to be large or time consuming. Just create something new from scraps you already have. I'll be featuring my projects monthly and would love to include some of yours, as well. Want to join me? Make sure you have commented on this post. Then, just send me a project photo and the following information to collagelynda@gmail.com by the 5th of the month. OOPS! I started this challenge late - what do I do? You can join this challenge anytime, however, you still need 12 new projects completed by Dec 2019. And to qualify for prizes you will need to verify your projects by joining the featured program outlined above. Sounds fun. I have so many scraps that need used. I will give it a go, I have enough scraps and fabric to last years. This sounds like fun. Where to find inspiration? Fun! This sounds like what I do anyway but now I'll be more aware. Right now I'm making an art book based on packaging that was too cute to throw away. 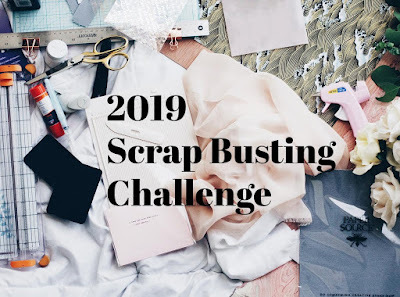 I'll join in on the scrap busting challenge. I'm going to be busy in 2019 with some really great projects of my own. This is going to be so much fun. I would love to give this a try!! Sounds like fun! Whata' fun challenge, count me in!!!!!! I would love to try your challenge! This will be a great way to start small projects! I’m in! I would love to join the challenge!!! I'll join in and give it a try.. I do have lots of scraps. Thank you Lynda for doing this! It will be a challenge! 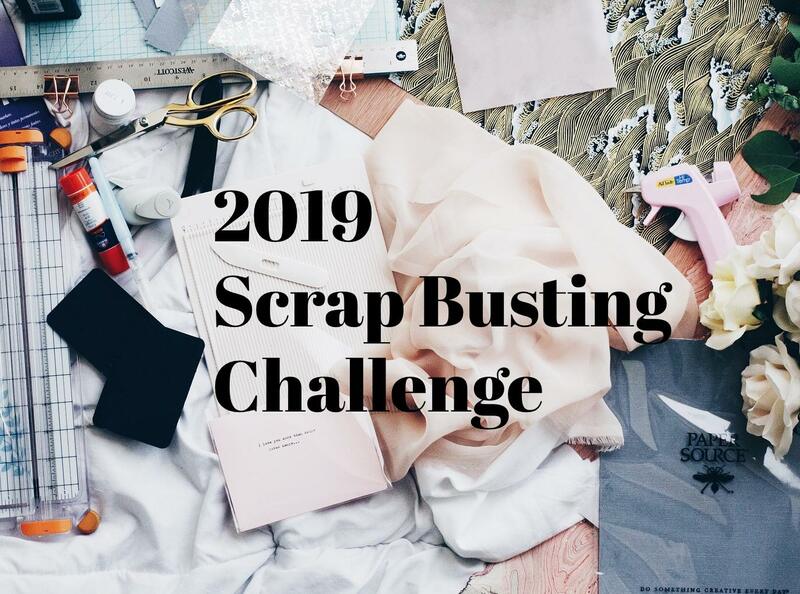 think will be a great challenge, use up our scraps and enjoy doing it, no big hurry..
Love to join in. Have tons of scraps! Great challenge, I want to join also! I'm playing in my sewing room today using my fabric scraps and tons of embellishments for a new product to go in my Etsy shop, Markets of Sunshine. I just enjoy creating and letting my imagination run wild. Sounds like fun. I just made a necklace out of paper clips! I have missed a couple of months. Can I still join? Yes, I have crafting supplies as well as material scraps I need to start doing something with. I'm a bit late in starting. I'm not sure what I have to do to join. Looks like I will need to do at least 5 projects by May 5th to catch up. You will need to catch up your projects but you don't have to do them all at once. If you can catch them up by June and send in your photos, you'll be eligible for the July giveaway. So just send in your project photos in May and June for a total of 6 projects.